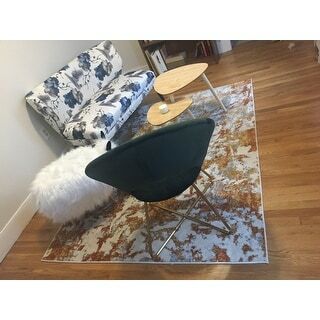 Really love this rug! The colors go perfectly with my scheme. Unrolled really easily with no creases, and no weird odor (an issue I've seen noted on other rugs). Colors are true to picture. Would definitely recommend to others. 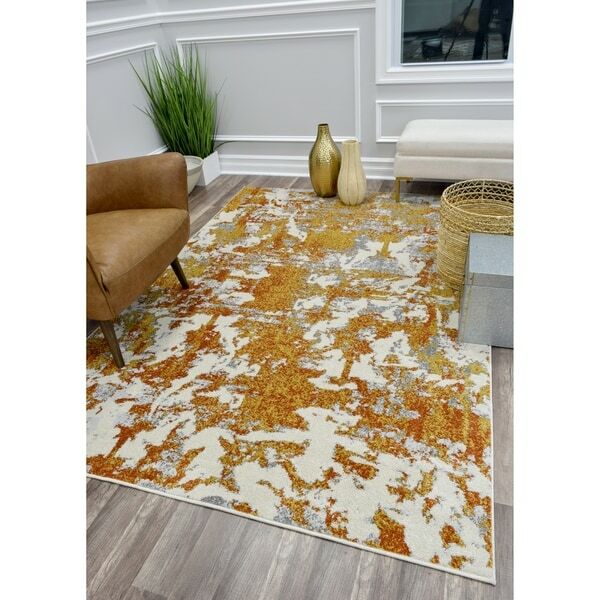 Mood: the Autumn rug from CosmoLiving . This golden gorgeousness is totally reminiscent of a fall harvest. Nothing brings the earthy glam game like this Manhattan Collection style. Mixed with hints of white and gray plus a low pile and strong power loomed construction, the Harvest rug stays grounded and ultra-chic.